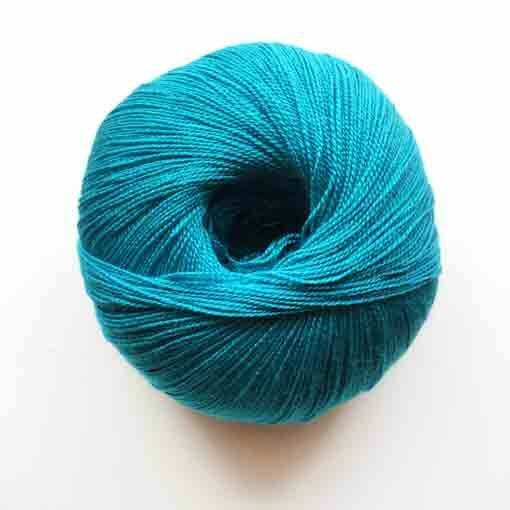 Juniper Moon Farm Findley is a lovely blend of Merino wool and silk with just a touch of halo. The way this fiber blend captures the vibrant colors available in Findley will create stunning lace motif shawls and scarves perfect for a night out on the town. After working with this lace weight yarn, you will notice that it has lovely drape and sheen making it a great yarn option for gressier tanks and tees.